Spinal fusion surgery is one of the most common procedures for treating low back pain. This surgery still remains controversial as it is incredibly costly, invasive, and recovery can take up to several months. For some people with low back pain and minimal to no sciatica and spinal stenosis, standalone surgical decompression may be a more palatable option in regards to both recovery time and budget, according to experts. Lumbar disc disease with sciatica occurs when nerves are pinched due to the narrowing of the canals on the sides of our spinal vertebrae known as neuroforamina. As people grow older, many develop varying degrees of lower back pain caused by degeneration of what holds the spine together in a proper state. The neuroforamina subsequently shrinks and the nerves become jumbled, causing the characteristic low back pain associated with lumbar disc disease. To fix this, surgeons must realign the vertebrae and decompress the neuroforamina. In spinal stenosis, the central spinal canal can also become compressed causing severe pain, primarily in people in their 70s and older, to the point where walking is extremely difficult. Many believe this process, however, starts when patients are in their 50s based on MRI reports. This is where the debate between fusion and just surgical decompression comes into play. Both surgeries realign the spine, effectively relieving pressure placed on the nerves and the associated pain. Nonetheless, studies have found that decompression surgery accomplishes the same amount of pain relief as spinal fusion with fewer complications. Nonetheless, there are certain patients that will reap more benefits by having a spinal fusion surgery. They just require careful selection to optimize their outcome. The results of the study suggest spinal fusion is very useful in cases of malalignment such as that found in patients suffering from spondylolisthesis. This is because spondylolisthesis is a syndrome in which nerves at the bottom of the back are pinched due to a bone in the spine shifting out of its proper place. In cases of spinal degeneration, however, decompression often yielded greater benefit. As opposed to fusing two vertebrae in hopes that pressure will be alleviated from the nerve, decompression removes the back part of the vertebra covering the narrowed spinal canal. This effectively relieves pressure from the nerve without introducing invasive equipment and bone grafts. Laminectomy is another name for this surgery. Should Both Surgeries Be Done Together? According to Swedish researchers, many surgeons tend to use decompression surgery alongside spinal fusion so as to lower the risk that the patient will require another operation later in life. The study done in Sweden was compiled of 247 participants with ages ranging from 50 to 80 years. Each participant was a patient who suffered from back pain caused by the shrinking of the spinal canal. Roughly half also involved misplaced vertebra. Each participant was randomly chosen to undergo either decompression only or decompression alongside spinal fusion. There wasn’t a huge difference in short-term outcomes between the two groups after the surgery in patients. The difference instead was found in recovery time. Fusion patients had to stay in the hospital almost twice as long as the decompression patients. The fusion group also spent more time in the operation room, lost more blood, and had to pay more for their surgery. It is important to note that when it came to the patients with misplaced bones in their vertebra, those who underwent spinal fusion had a much better quality of life post-surgery than those who underwent the decompression surgery. In addition, all patients who received spinal fusion surgery were less likely to require a second surgery. 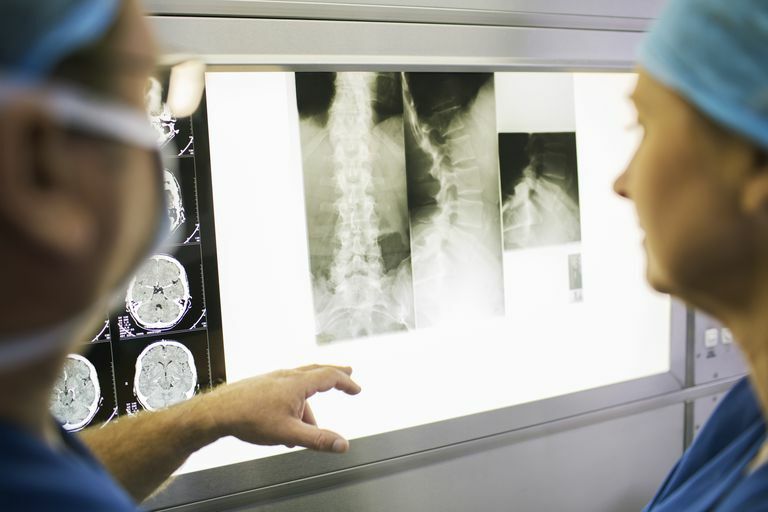 Doctors are likely to continue to use spinal fusion since the results are statistically longer-lasting; however, spinal fusion may not be always the best choice from a case-by-case standpoint. Investigating which patients are candidates for the less invasive decompression surgery will save both providers and patients unnecessary costs and recovery time, resulting in better care and improved quality of life. Lumbar Spinal Stenosis: Is PT or Surgery Your Best Option?